Powerful resume action words will help you to communicate your strengths, experiences, skills and accomplishments clearly on your resume. Below you will find a detailed list of words for inspiration as you write your resume as well as a few tips for using them effectively. People often fall into the habit of using phrases like "responsible for" or "duties included" on their resumes. These phrases are not particularly powerful or descriptive. If you are describing a duty on your resume, employers assume you were responsible for that task, so those phrases don't add any real value. You only have a few seconds to make a positive impression on employers who read your resume, so you be sure to choose resume action words that convey strong, positive meaning. Sometimes using the phrase "responsible for" on your resume is unavoidable. I am not suggesting that you should never use the phrase. Simply use it sparingly. If you find yourself using resume words like "responsible for" or "duties included" repeatedly on your resume, you are probably not presenting your experiences in their best possible light. Review the list of resume action words below to find some stronger verbs to replace any less powerful words on your resume. Resume action words written in an active voice, rather than a passive voice generally make a stronger impression on anyone who reads your resume. Without getting into a deep grammar lesson, here is a quick explanation of active voice vs. passive voice. I increased sales by 50%. Is written in the active voice. Sales were increased by 50%. Is written in the passive voice. Notice that the person who increased the sales is completely removed in the example where the passive voice is used. Anyone could have increased sales by 50%; we don't automatically assume it was you (the resume writer) who did it. The distinction is subtle, but the passive voice separates the person who did the action from the action itself. Using passive voice is an interesting technique. If you listen to a politician confessing to some big blunder, he or she will often use the passive voice saying something like, "Mistakes were made." instead of the active voice, "I made mistakes." The passive voice creates separation between the action (in this case, making mistakes) and the person who did the action. When you write your resume, all of the actions you write about will describe positive skills, experiences and accomplishments, so you do not want to separate yourself from the action. 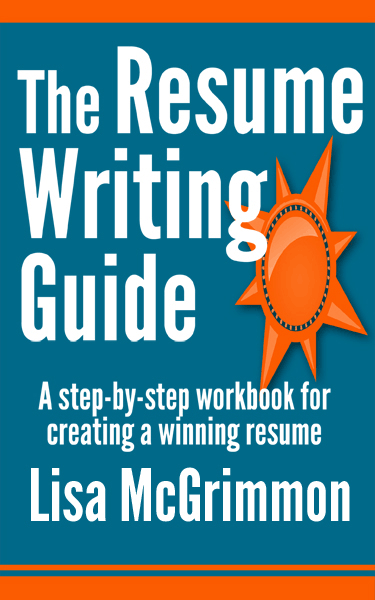 Therefore, you should use the active voice as much as possible on your resume. Do not be confused by the fact that you do not include personal pronouns like I, me and my on your resume. I used the example, "I increased sales by 50%." to show active voice and included the word I in order to make the subject very clear. On your resume, however, you would write, "Increased sales by 50%." Even though the word I is omitted, the phrase is still written in active voice. People often get confused about the correct tense for resume action words, but selecting verb tenses for your resume is really quite simple. Use the past tense when you are describing a job or other activity that you did in the past and no longer do. Use the present tense when you are describing a job or other activity that you are currently involved with. I believe the source of the confusion lies in the fact that people worry about being consistent with tenses throughout the resume. You may change between past tense and present tense on your resume; just remember to use resume action words in the present tense to describe current jobs and other activities and past tense to describe past jobs and other activities. The list of resume action words below is written in the past tense simply because people tend to use more past tense verbs when writing a resume. Simply change the verbs to present tense if you are describing a current job or other activity.